When is enough, enough? When is being loyal a character flaw? How long does it take before civility goes out the window? These questions are all on the minds of athletes who have remained with losing teams out of respect for the organization. As sports fans, we praise athletes who commit to the team that drafted with them and fight it out until they eventually win a championship with that team. Often times, that championship never comes. So what’s the next step? Can an elite-level athlete stay with a team that will never reach the top of the mountain? What if the team can’t even compete at a playoff-level? That’s the situation facing Steve Nash, the Canadian-born basketball player for the Phoenix Suns. Nash, a former two-time Most Valuable Player, signed with Phoenix in the summer of 2004. After arriving in the desert, Nash went on to change the culture of the NBA by introducing a new fast-paced style of play called “seven seconds or less” which catered perfectly to Nash’s ability to pass the basketball with precision. This style lead Phoenix within two games of the NBA finals in 2008-2009. Following this unexpected and unbridled success, the Suns’ fortunes quickly changed after several short-sighted personnel changes. This led to a void of talent that caused the Suns to miss the playoffs in 2010-2011. With Nash, 38 years old and entering the twilight of his career, it has become time for the player and his team to make a decision regarding his future. It’s time Steve Nash is allowed to move on for a chance to win a championship before he retires. The problem is that Suns management refuses to move him and Nash is too honourable to ask for a trade. So what now? As fans, what do we ask for? Historically, players that spurn their former teams and move on to greener pastures are despised by fans. 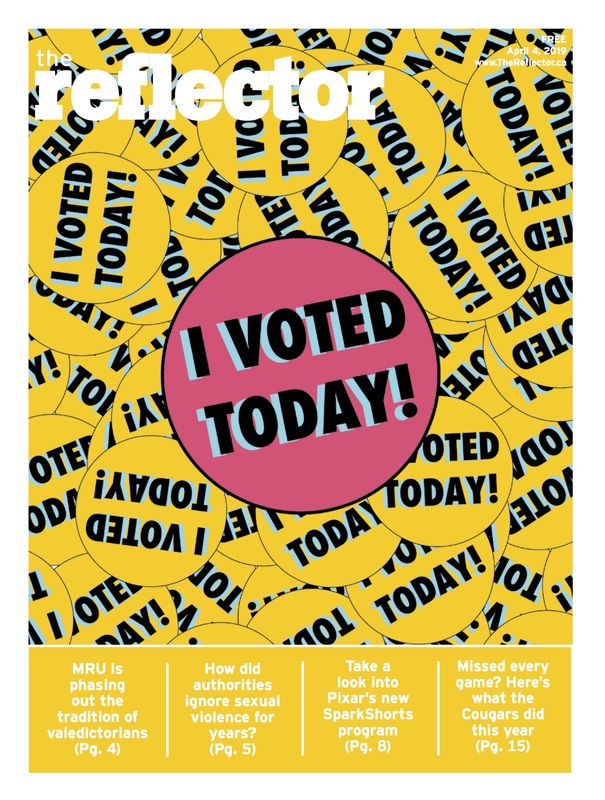 For examples think of Chris Pronger demanding out of the NHL’s Edmonton Oilers after going to game seven of the Stanley Cup Finals, or Lebron James’ famous “The Decision” which lead to him leaving the NBA’s Cleveland Cavaliers to join Chris Bosh and Dwayne Wade in Miami. The difference with Nash is that he is much more respectful to and much more beloved by the Suns’ fans than either of those particular players. That respect means that onus falls to particularly bad upper management in Phoenix to let Steve move on. Will he be hated for leaving? Can someone put eight years into an organization and leave to another team with his integrity intact? Examples certainly exist where players were allowed to seek out championships elsewhere and still be loved by their original fans. Ray Bourque, famous defensemen for the Boston Bruins, was traded by Bruins GM Harry Sinden to the Colorado Avalanche in 2000, where he would go on to win a Stanley Cup that was not going to happen for him in Boston. Bourque managed to seek out his personal glory without isolating himself from his fans. Is this the rule or the exception for players leaving teams late in their career? Can Steve Nash win a title elsewhere and still have his number 13 retired in Phoenix? Time will tell. More locally, a player is faced with a similar dilemma. The Calgary Flames’ Jarome Iginla has struggled through 16 seasons with his current team, only once tasting victory in the Flames fairy tale run to the 2002-2003 Stanley Cup Finals, eventually losing to Tampa Bay in seven games. Since then, the Flames have hovered around mediocrity and few people believe have the ability to compete for a cup with the current roster. It’s time for Jarome to go. This guy has poured his heart out for this team and his reward has been the misuse of his talents. This assembled Flames roster does little to spur Iginla’s offensive creativity. Also, if the Flames were to trade the 33-year-old veteran, the trade would yield a crop of young talent to help jumpstart a rebuild that simply won’t be there two years from now. Iginla has earned the right to fight for a cup. Steve Nash has earned the right to fight for a championship. The Flames and Suns have not. Do the right thing and let these guys move on and welcome them back following their retirement. Both of them are too honourable to demand their way out of town. That respect should be awarded by management by allowing them to move on gracefully. Leaving a team is wrong if you’re doing it to lay on South Beach when you’re 23-years-old. It is right when you’re north of 30 and the team you play for has decided that a rebuild is in order. 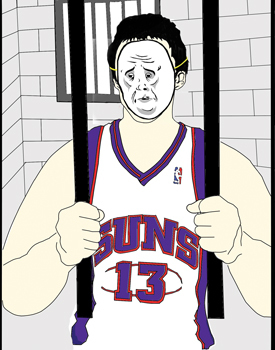 Free Steve Nash. 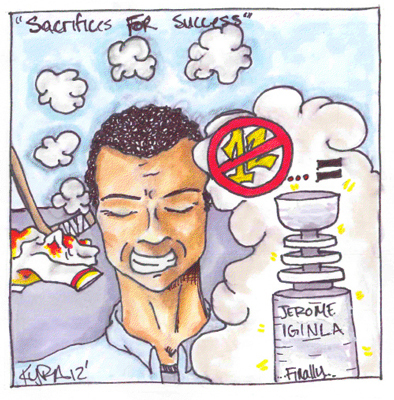 Free Jarome Iginla. Respect those who fight for you even when you’re inept.